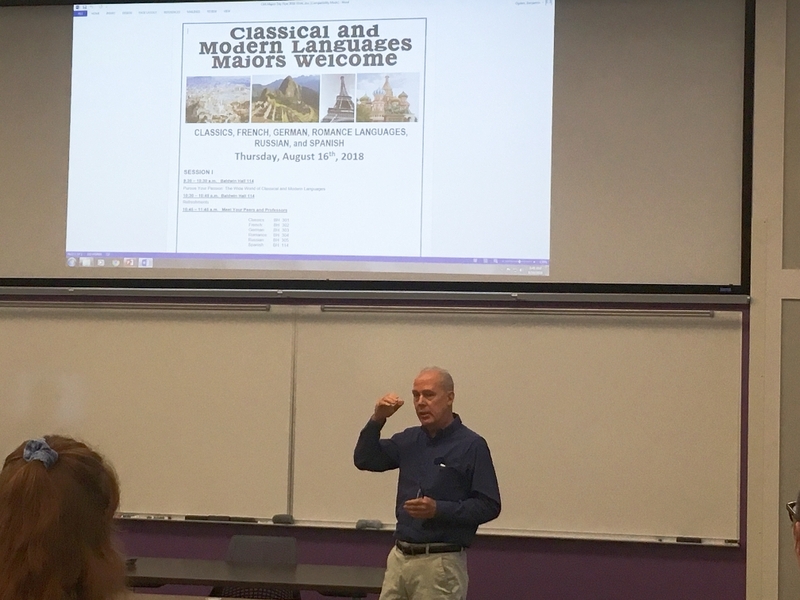 As the new semester starts, the Department of Classical and Modern Languages had a Majors Welcome on Aug. 16th. Over 30 freshmen participated in two sessions. After a brief introduction of the faculty members, the department chair, Dr. Lucy Lee, introduced all the programs, including majors and minors, offered by CML. Students were impressed by the diversity of the languages being offered. 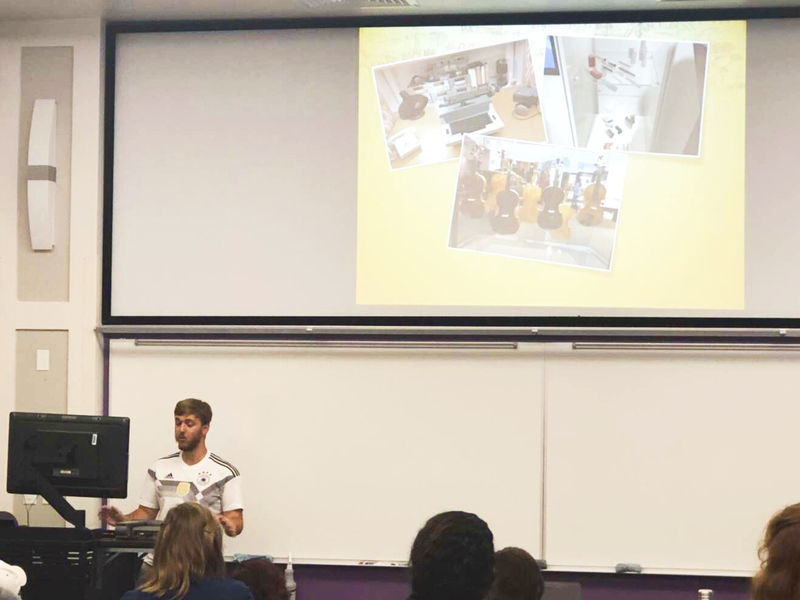 Dr. Timothy Farley presented his research project during his sabbatical year, and discussed the meaning of studying foreign languages with students. 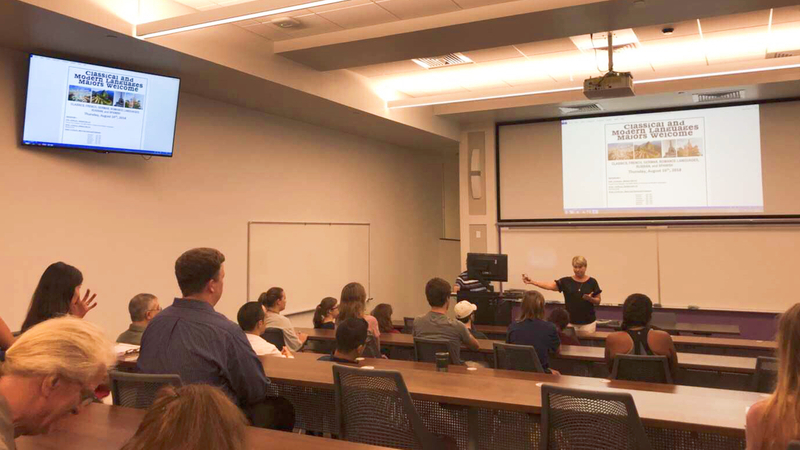 Student representatives presented about all kinds of opportunities available through CML, including international internships, service learning experience, and study abroad programs. After the presentations, students broke up into small groups based on their languages and met the corresponding faculty. The Majors Welcome ended in a warm rapport.